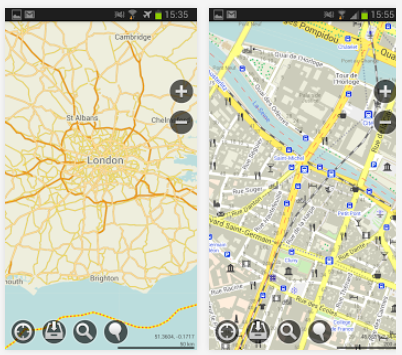 Maps With Me – Travel App Of The Month August 2013! This app promises to save you money and roaming charges by making detailed maps of the world available to view offline. It is available as a free version (lite) or paid version (pro) and works on android and iOS. To top it off, the app is also available in a load of different languages! What does the Maps With Me App do? Maps With Me is a world map in an app, using OpenStreetMap (which is constantly being updated by users) to provide a detailed map of every part of the world – even the smallest islands. Being completely offline, you can access the world in fabulous detail without a signal – just like maps back in the good ‘ole days! Reviews are a mixed bag, some say that the maps are better than Google’s offline version, other say maps they accessed are incomplete for more remote areas. Developers say that the maps available are being constantly updated and therefore continually improved. 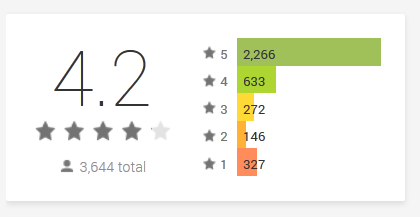 Make sure you download maps beforehand though – some users didn’t seem to understand this going by the reviews! This entry was posted in travel apps on August 30, 2013 by worldwideinsure.